As Sony leaks keep pouring in, it serves as a vivid reminder that even a company's internal emails should include only what you want your mother to hear aloud in court, or your clients to read on the Internet. The Sony hack is a cross between a disastrous train wreck that you can’t turn away from and tabloid magazines – you know, the ones around checkout lanes that claim things like “aliens ate my baby.” But in this case, the tabloid headlines in mainstream media are grabbed from real internal emails. It may be normal to be anxious about what you might say to the President of the United States and discuss that with colleagues; of course, Sony Pictures entertainment chairman Amy Pascal and producer Scott Rudin probably thought the email exchange was private. Yet the racially charged emails mocking President Obama, joking about what black-themed films the President might like, have resulted in the two issuing public apologies. Sony stored thousands of passwords in a file named Password; there were Excel spreadsheets, Word documents, PDFs and zip files listing the usernames and passwords to hundreds of social media and web service accounts as well as passwords for Sony Pictures’ internal computers. I recommend against providing any notification to individuals given a) the lack of a notification requirement; b) the limited data fields involved; and c) the fact that notifying would not likely have much effect in terms of mitigating potential damages. Then there’s the Sony IT assessment from hell that leaked. 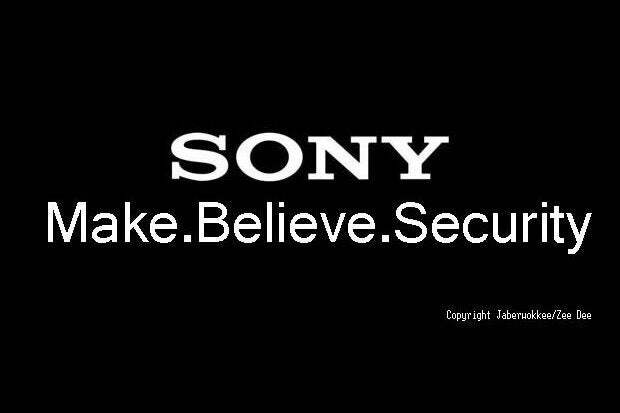 The report, dated September 25, 2014, detailed past security protocol for dealing with “security incidents,” such as when Sony was hacked in February but didn’t tell, as well as the current state of Sony’s IT management. Put another way, although GSIRT did escalate 195 security incidents from September 2013 to June 2014, before August, “the GSIRT team was failing to monitor 149 out of a final total of 869 systems they wished to monitor. That meant they were blind to 17% of their environment.” The report pointed out that “security incidents impacting these network or infrastructure devices may not be detected” or resolved in a timely manner. In addition, procedures have not been developed to reconcile the population of security devices that are being monitored by GSIRT to the actual SPE security devices that should be monitored to validate accuracy and completeness. As a result, additions, changes and deletions not communicated by SPE to GSIRT may not be detected, and critical security devices may not be monitored. The report also said that GSIRT decided not to send over monitoring reports that SPE IT had previously been receiving. The reports provided by the prior security monitoring providers included security threat trending (e.g.,common threats across SPE), log monitoring statistics (e.g., total events for a given month and how they are addressed), top attack categories for a given month, top sources of attacks by country, security devices providing the most alerts, top devices contributing to event correlation, the number of events triggered by more than one source (correlated events) and a summary of what SPE could do to reduce speciﬁc attacks. The Sony leaks are not a small drip, but a faucet pouring filth for the whole world to see; the total train wreck may change how Hollywood does business, sending text messages and email exchanges “underground” in the form of more face-to-face communications. GOP hackers are not done leaking Sony’s dirt either; when leaking the seventh cache of files, GOP claimed it will release a “Christmas gift” that will put Sony Pictures in the worst light yet.